LED bulbs for a T10 base. The ideal solution, for example, for your position light. 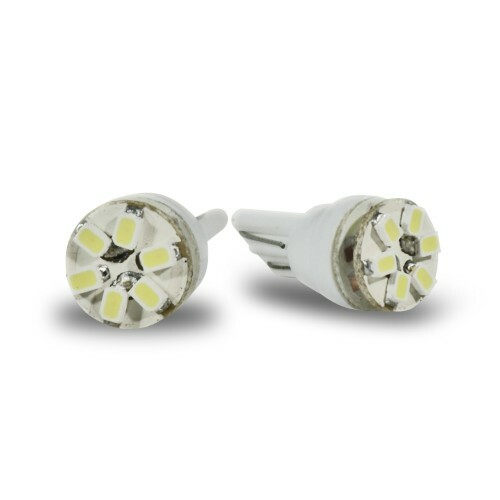 The new SMD-LEDs are a great alternative to the common bulbs, they are super bright despite the low power consumption. Six SMD-LED on top.